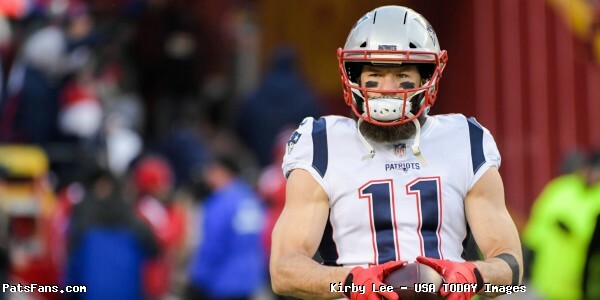 With the 2019 offseason in full swing, Super Bowl MVP Julian Edelman continues to find his way to all the big sporting events. This weekend, Edelman was spotted taking in the classic basketball rivalry between the Celtics and Lakers at Staples Center in Los Angeles. Edelman, representing Boston in enemy territory sporting a Celtic jersey, chatted with Kyrie Irving and Shaquille O’Neal pregame. Edelman proved to be a good luck charm, as the Celtics defeated the Lakers 120-107. 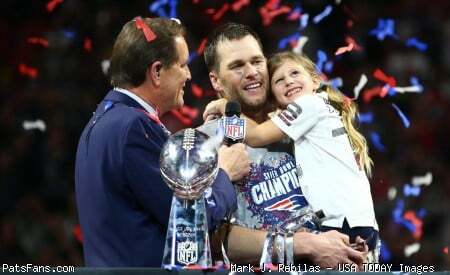 This entry was posted in 2019 Patriots Offseason, Patriots Photos, Super Bowl LIII and tagged Julian Edelman on March 12, 2019 by Robert Alvarez.